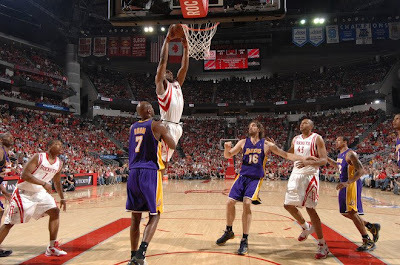 Figured I would re-post this dunk since Kobe and Dwight will be squaring off in the NBA Finals. Dwight Howard backs down Varejao in the post and then smashes on him with ease, via GoldLakerLion. Lamar Odom gets his revenge by shitting on The Birdman. Richard Jefferson with baseline smash on Drew Gooden. Dirk drives past C-Webb and posterizes Vlade. 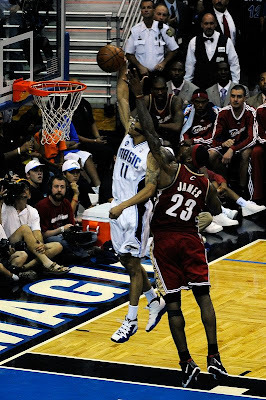 This dunk was almost identical to Lee's dunk on Lebron in Game 1 of this series. Also, Lebron rarely gets dunked on and Courtney Lee caught him twice in the same series within a week....crazy. OK...so today I'm getting a ton of page views...more than I usually get. I'm thinking the site was mentioned somewhere, which is bringing in this new wave of people....if somebody visits the site today and is here for the first time drop me an email and let me know how you heard about You Got Dunked On....appreciate it. Update: Apparently, Freddie Coleman mentioned You Got Dunked On today on ESPN Radio. Thanks for the shout out Freddie...you are THE MAN! Also, thanks to anyone who took time out to email me to tell me how they heard about You Got Dunked On. 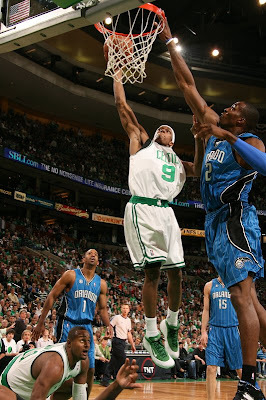 This is a Game 1 dunk from 'Melo that I forgot to post the other day. 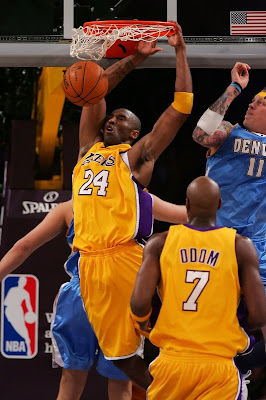 Kobe Bryant with the baseline smash on the Birdman and Kleiza. Courtney Lee comes up with the steal and posterizes the King. The Lakers might have won the game but Pau Gasol took a major L on this dunk by Nene. Desmond Mason with the sick one handed smash on Channing Frye. 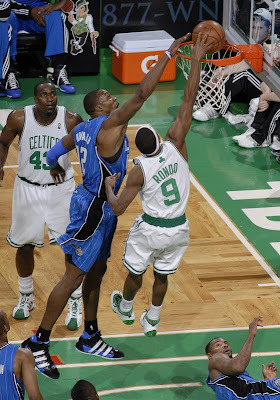 Rajon Rondo wasn't satisfied with his first dunk on Dwight Howard, so he decided to come back with a better one. Gasol goes Pau on Tim Thomas, via GoldLakerLion. Shaq posterizes Dikembe during the 2001 NBA Finals. The Plastic Man showing no love to Chris Dudley. 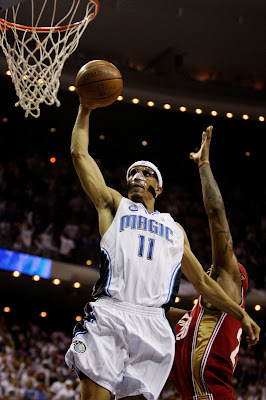 Delonte West goes baseline and gets his poster on. 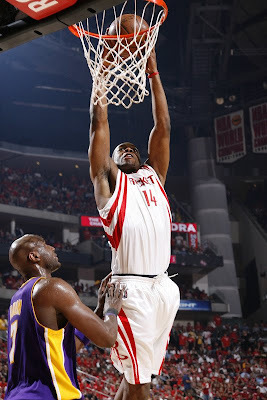 Carl Landry comes flying through the lane for the dunk over Lamar Odom. 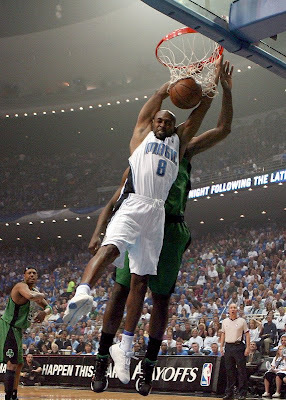 Dahntay Jones straight posterizing Erick Dampier. Sick. You know you're in for a long night when Anthony Johnson drives baseline and smashes on you.